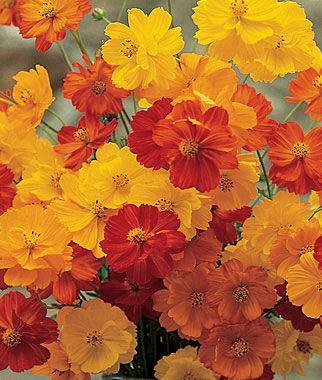 A cheerful mix of large blooms in yellows, reds and oranges. Singles and semidoubles. Lacy green foliage.